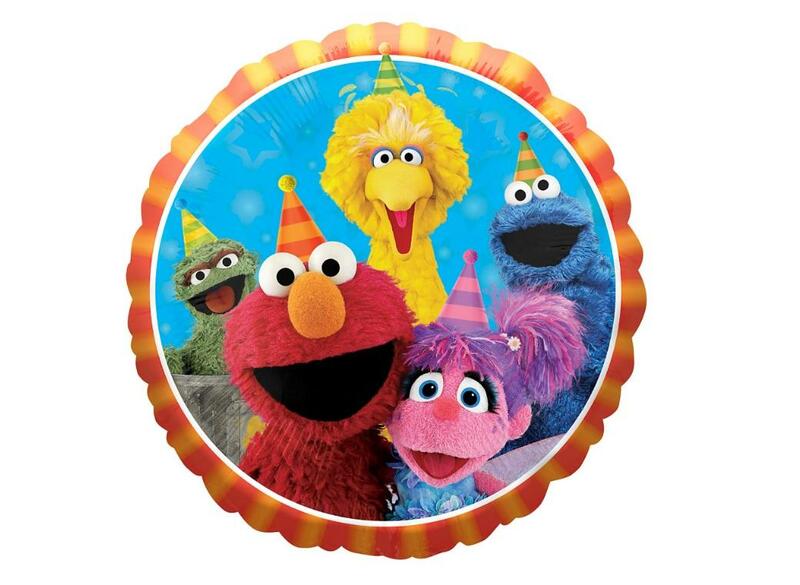 'P' is for Party! 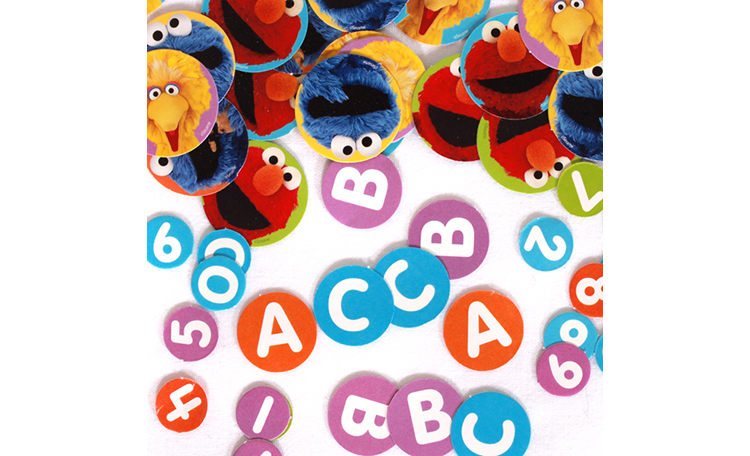 'F' is for Fun! 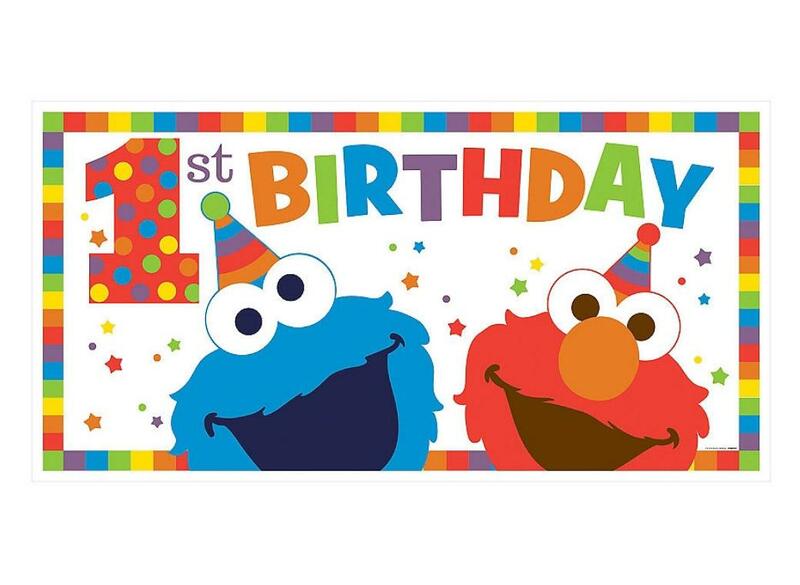 Someone very special is turning 1! 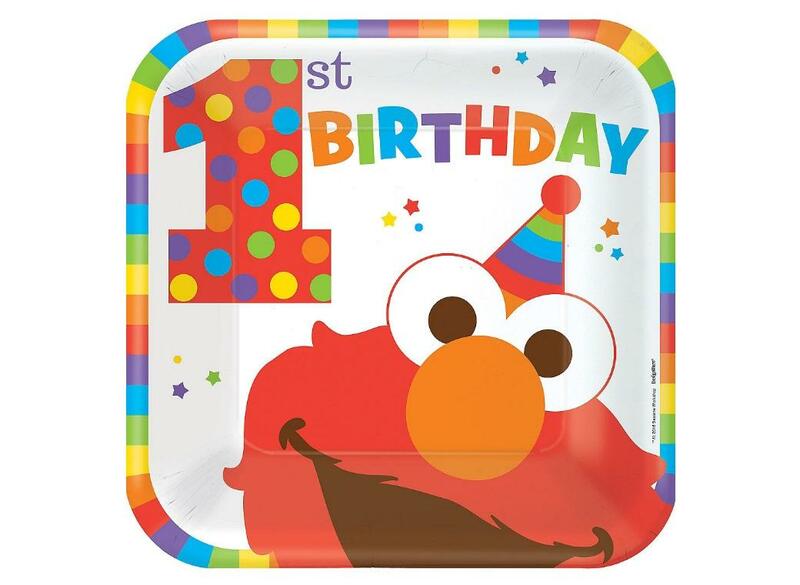 Celebrate your little one's first birthday with our colourful range of Elmo 1st Birthday party supplies including tableware, decorations and favours. 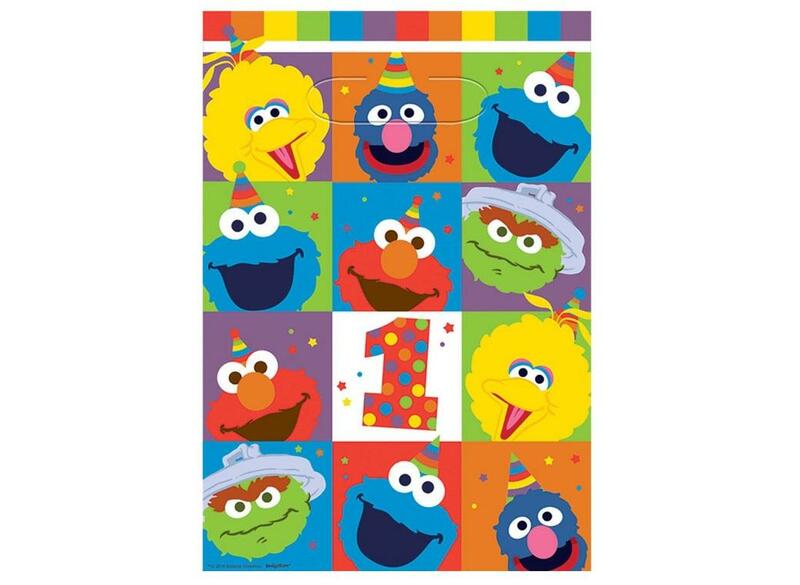 Celebrate turning one with these colourful lunch napkins. 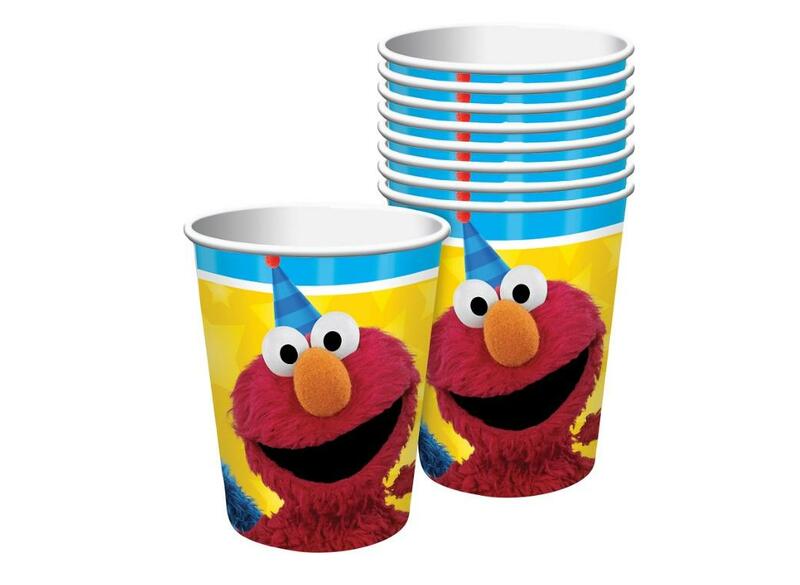 Perfect for serving cake and sweet treats. 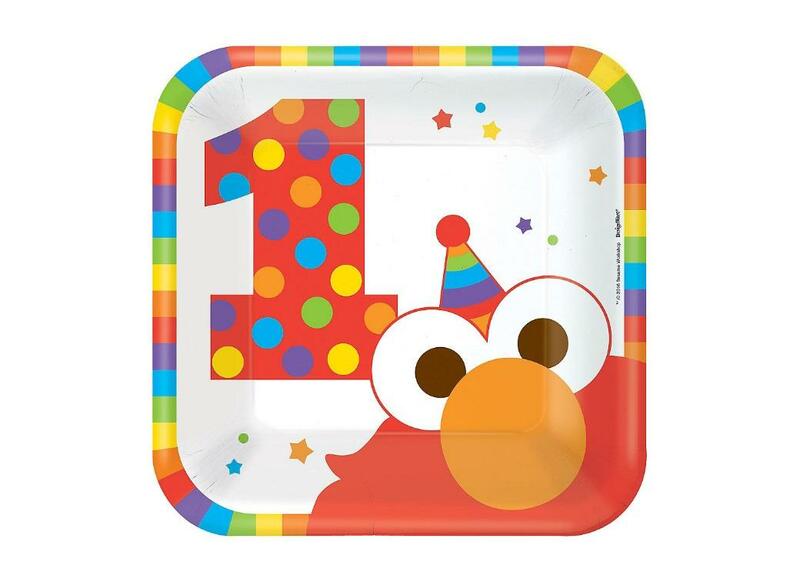 Celebrate turning one with these colourful party plates. 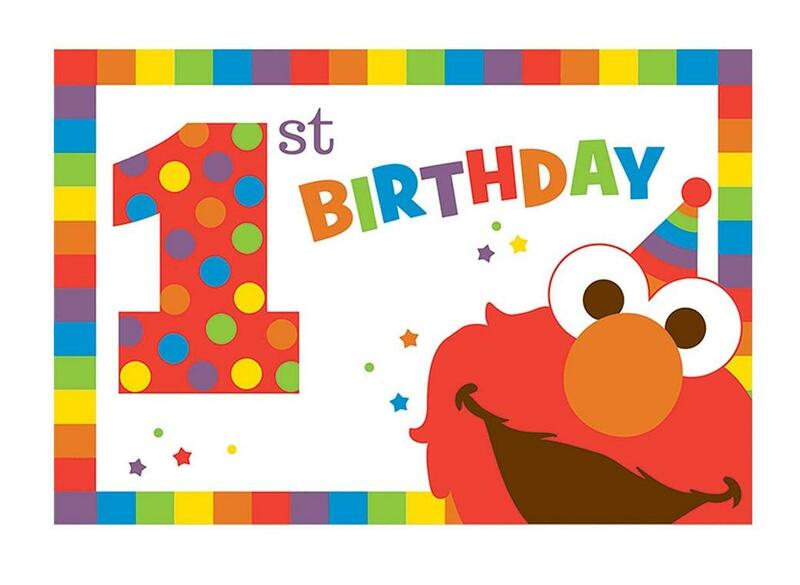 Celebrate turning one with Elmo! 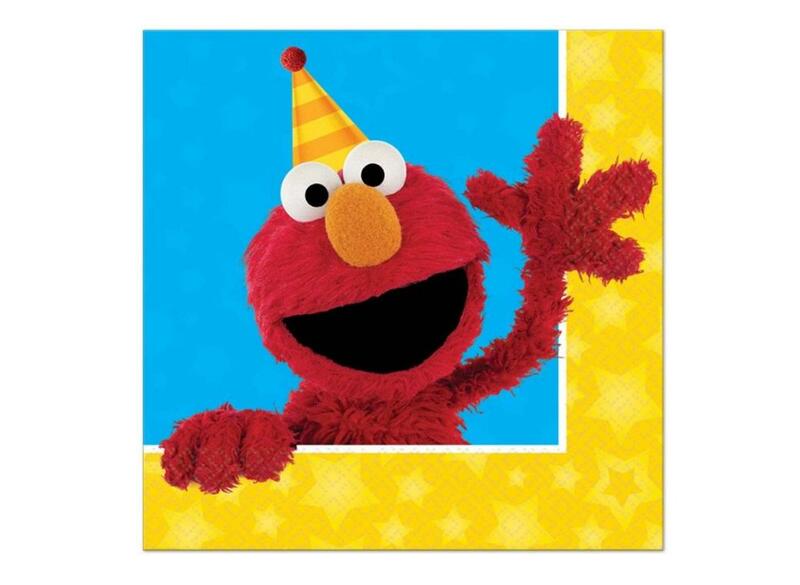 Easily add colour and fun to your Elmo party! 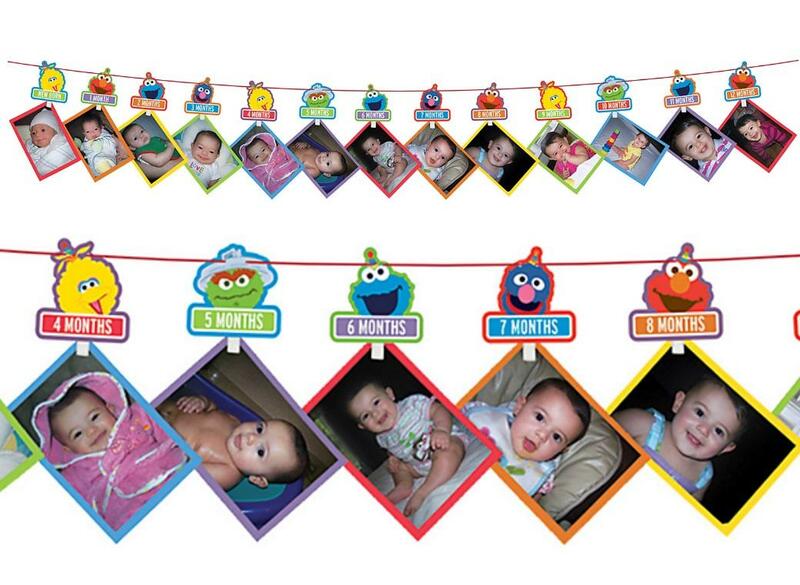 A great way to display your baby's first year! 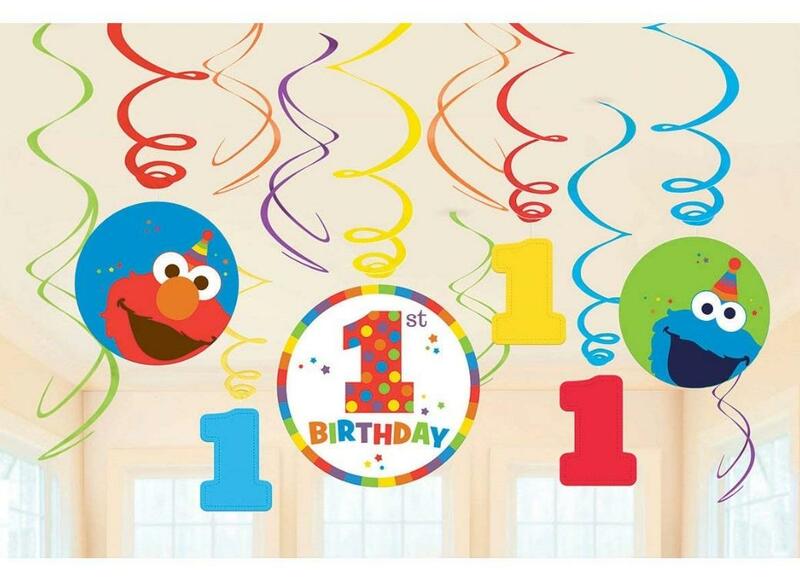 Dress your party room with this colourful 1st birthday banner. 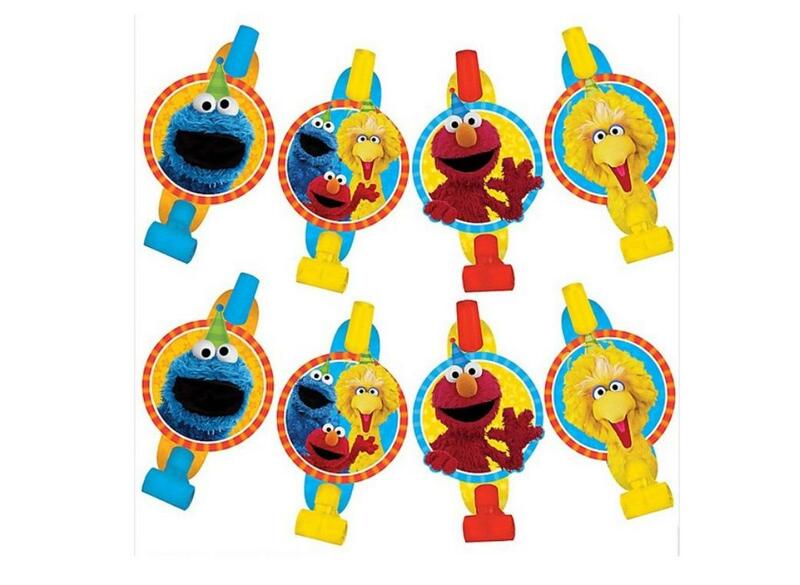 Your Elmo fan will love this foil balloon! 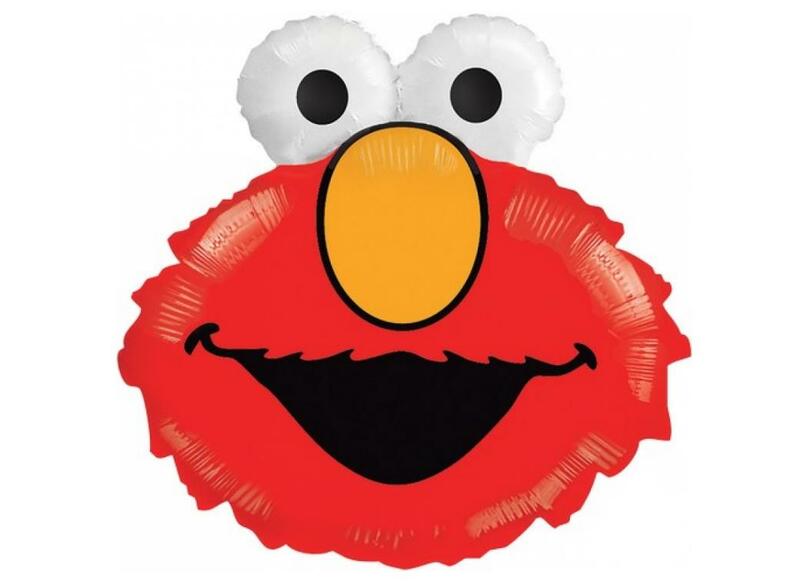 Kids will love this large Elmo shaped foil balloon. 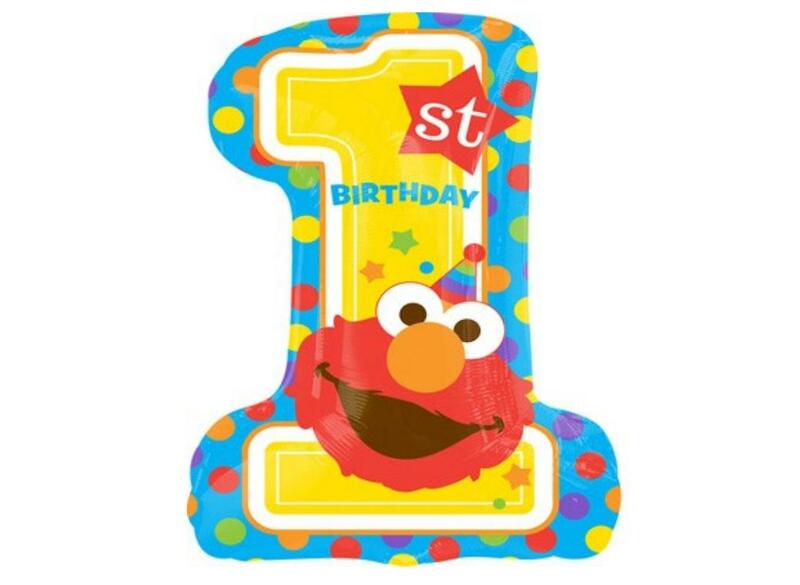 Make a statement with this huge no. 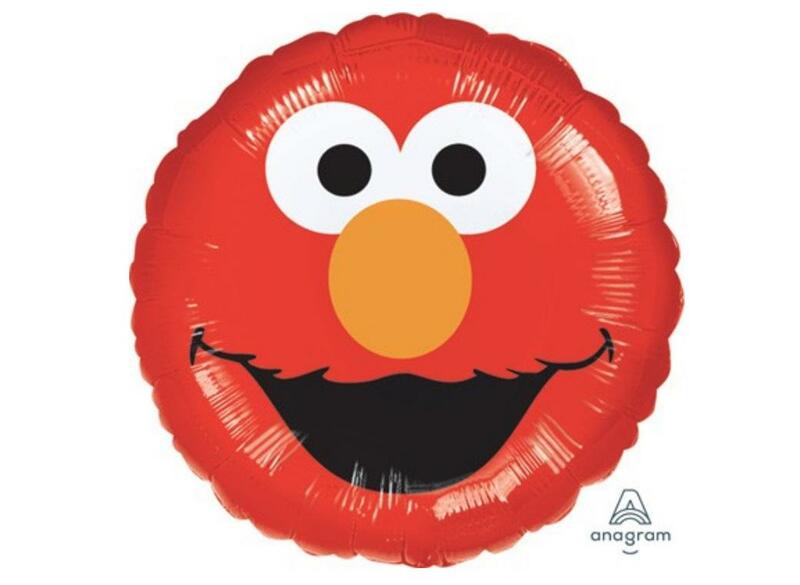 1 foil balloon featuring Elmo. 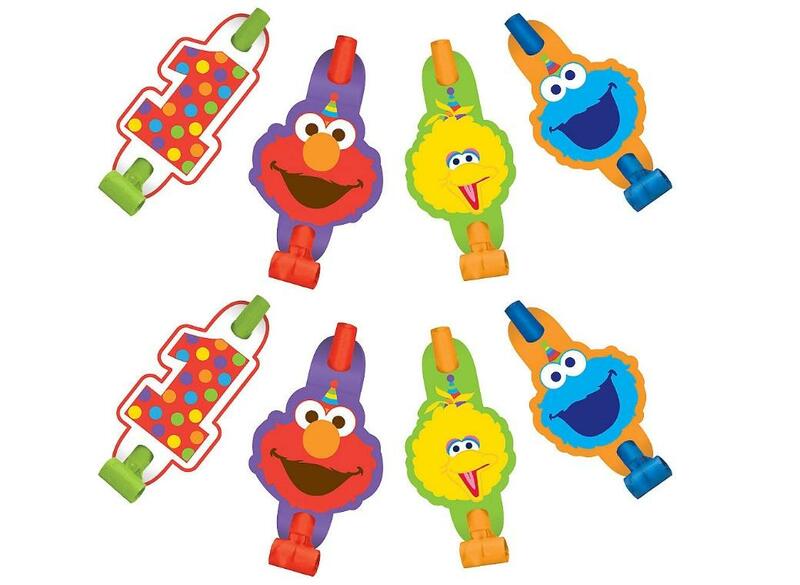 Easily put together colourful Elmo goody bags. 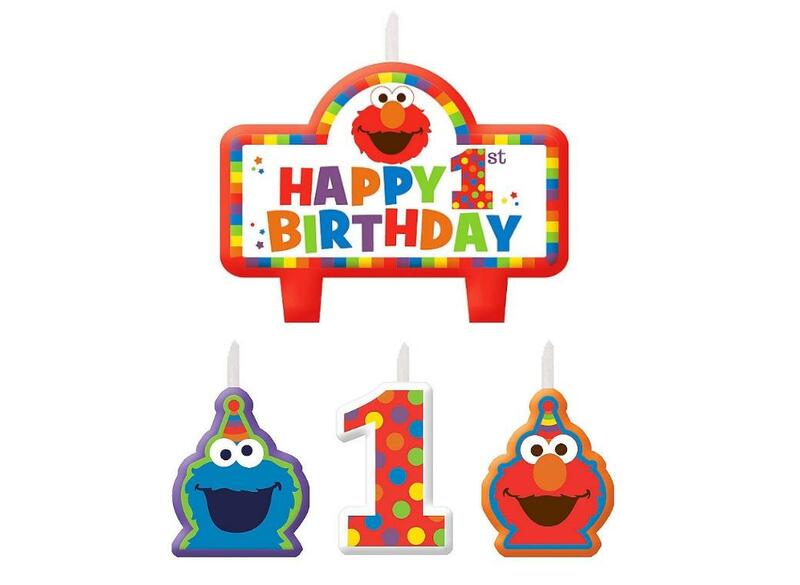 Colourful 1st birthday cake candles. 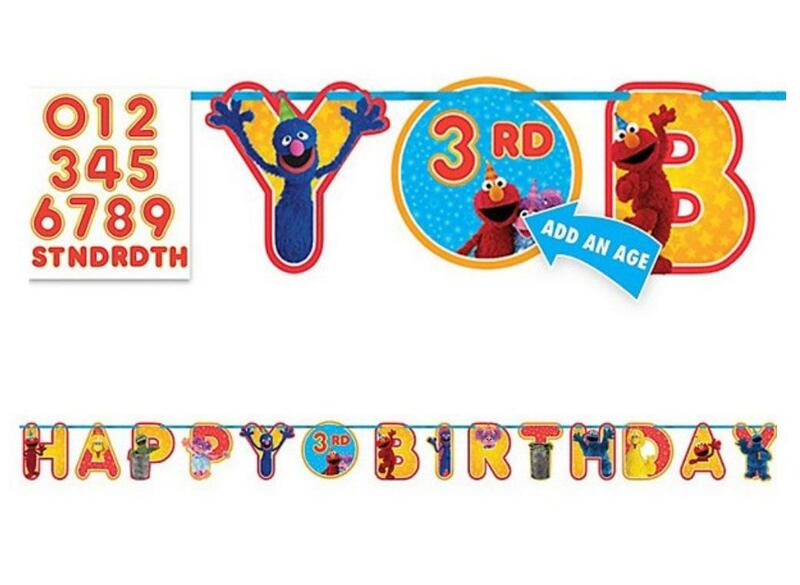 The easy way to decorate your cake! 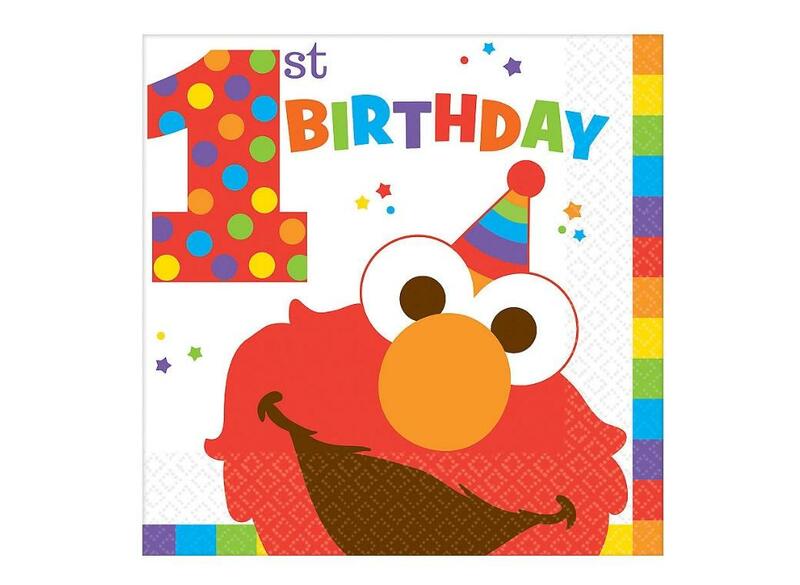 Set of colourful invites, envelopes and stickers. 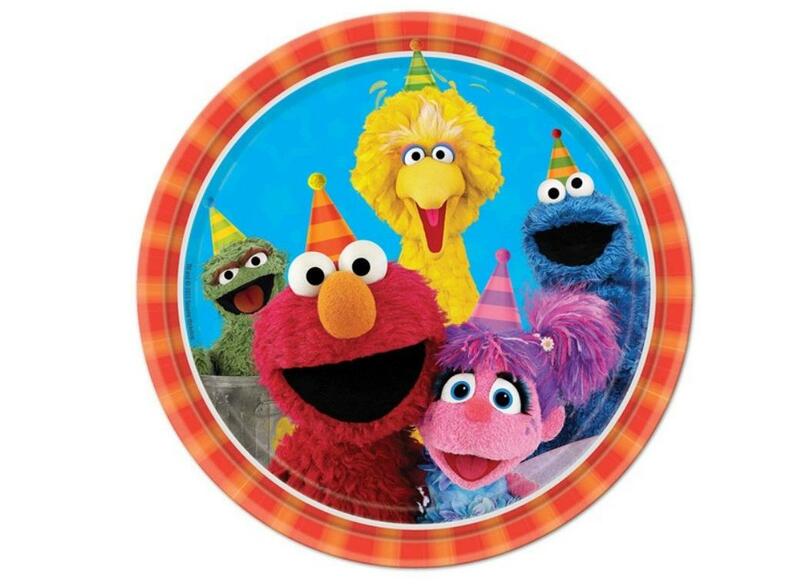 Colourful plates featuring Elmo and the gang! 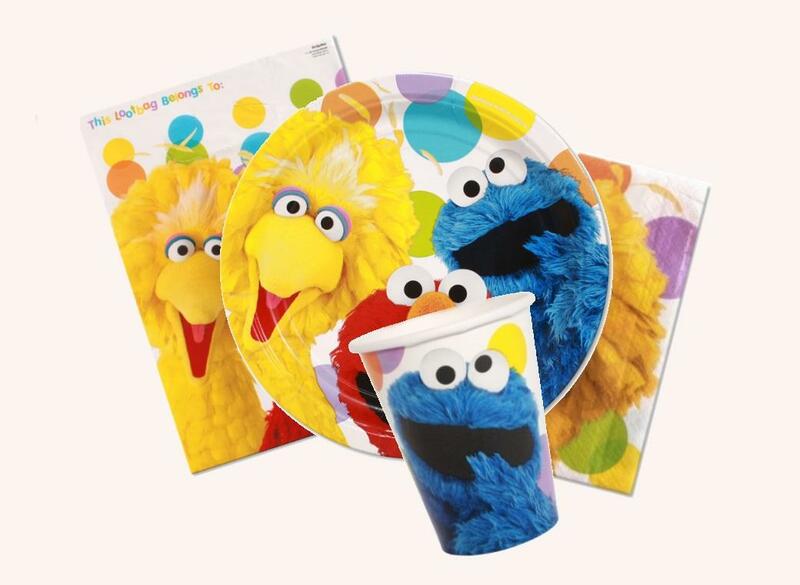 Sesame Street Lunch Napkins featuring Big Bird! 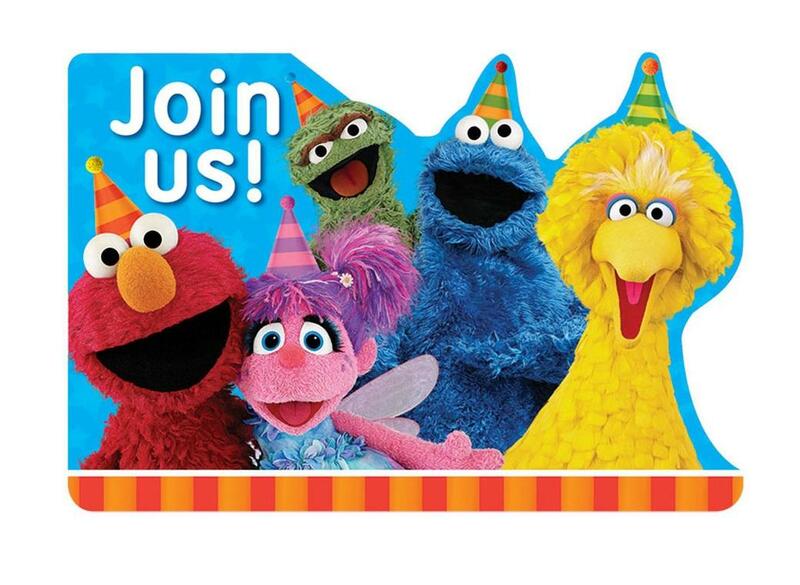 With Elmo and Abby Cadabby! 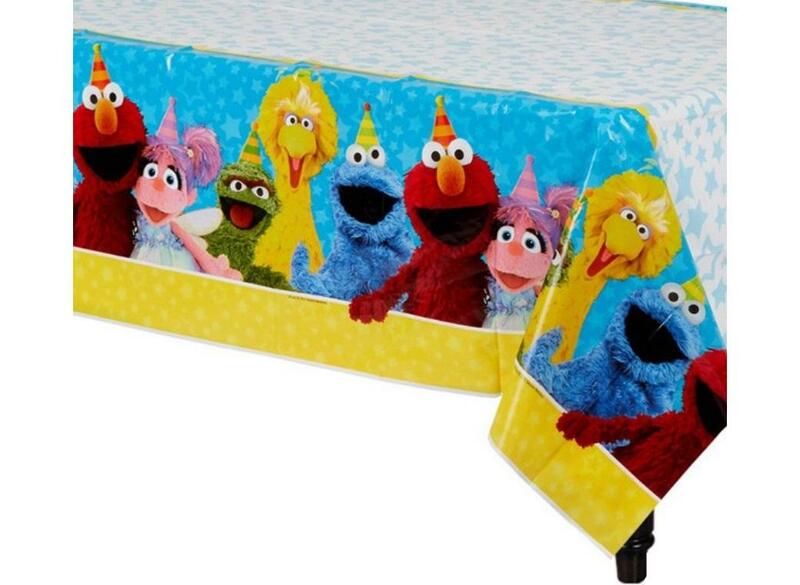 Set the scene with our Sesame Street Tablecover! 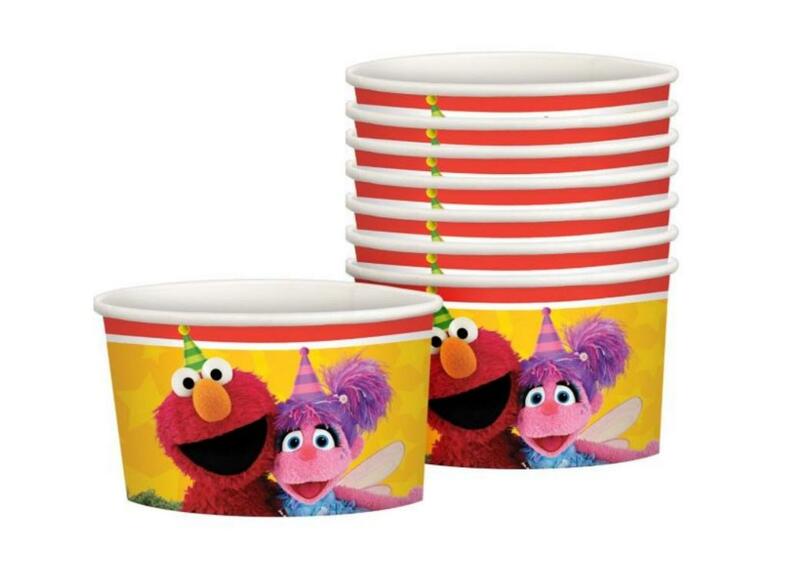 A great option for serving ice cream and desserts. 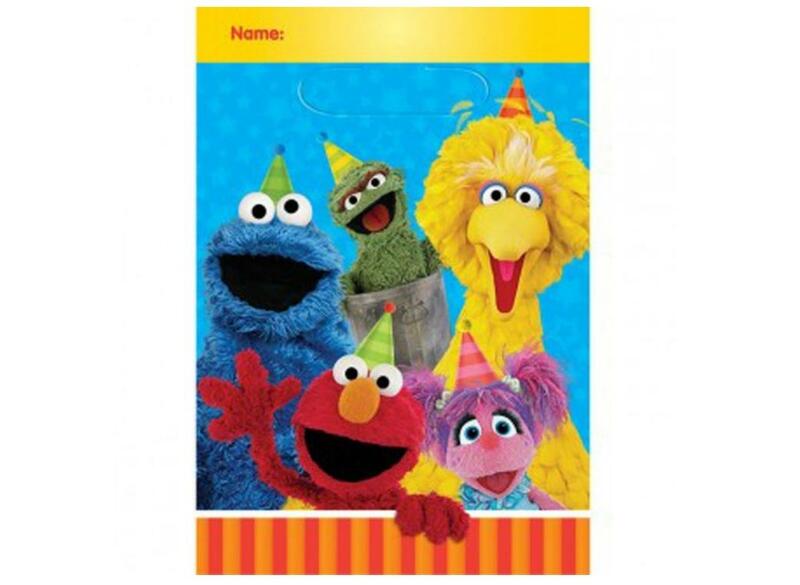 Create your own Sesame Street party with all the fun lovable characters your children know and love. 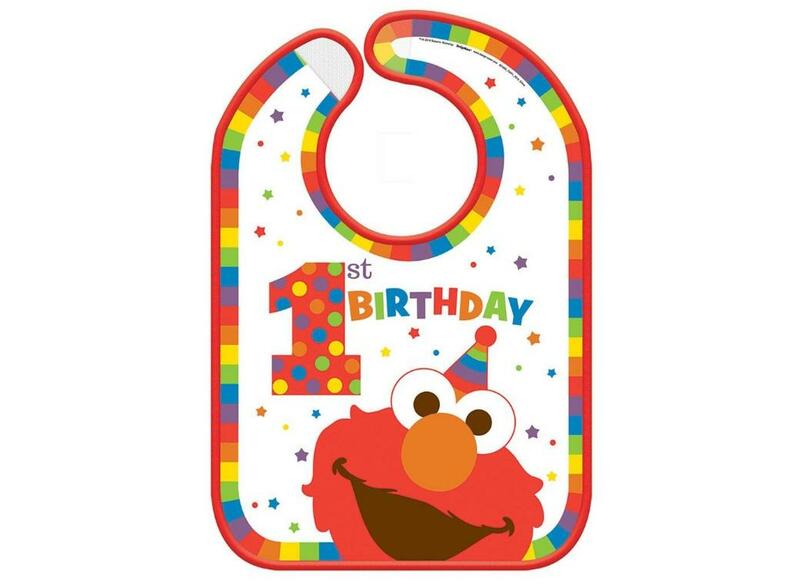 Customise with the age of the birthday girl or boy! 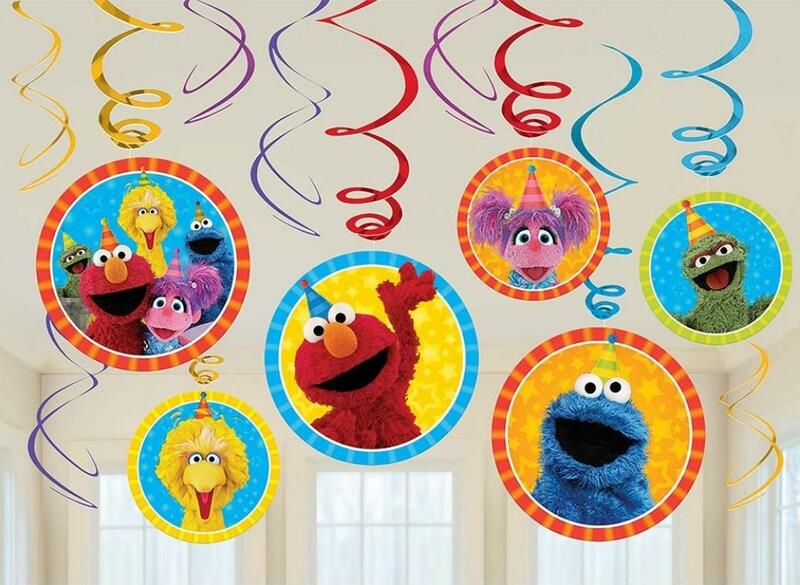 An easy way to decorate your Sesame Street party. 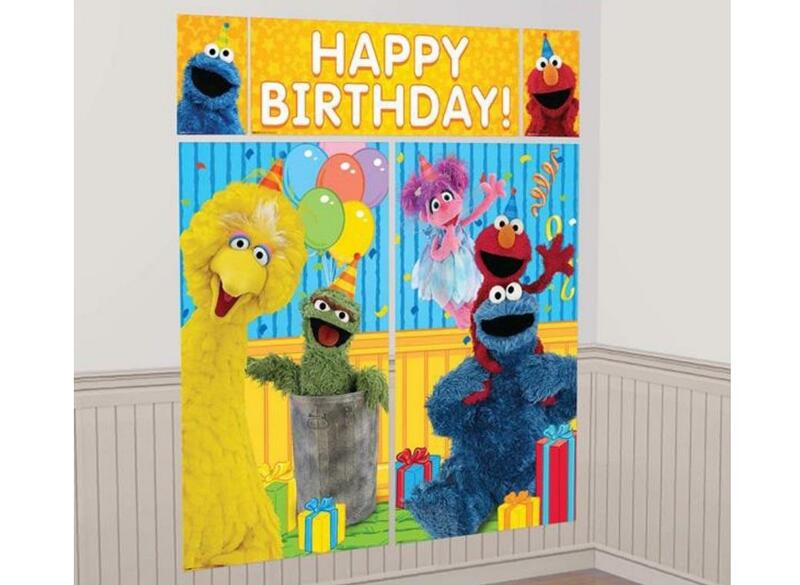 Decorate your Sesame Street party room! 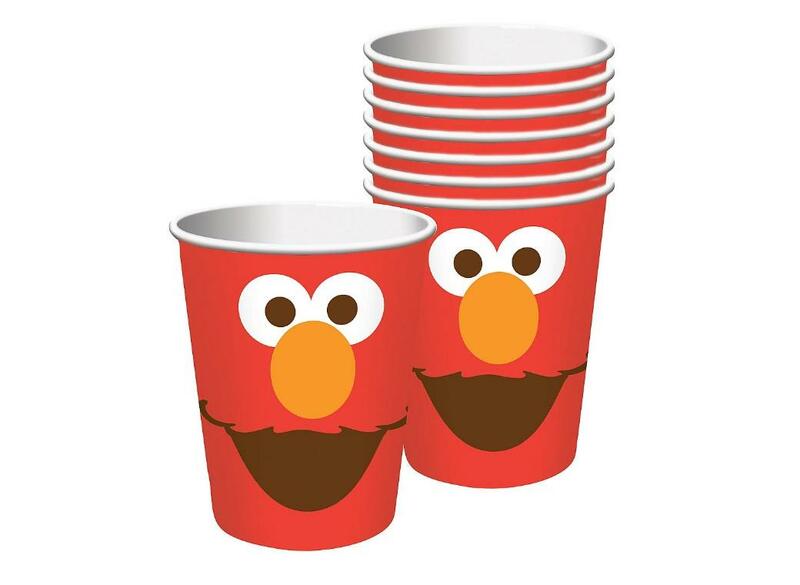 Perfect for prizes and party favours. 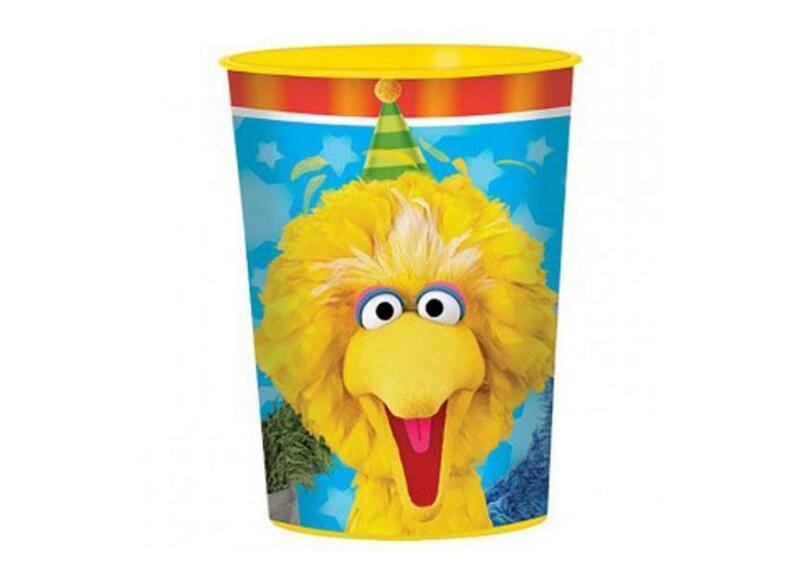 Fill with goodies for guests to take home. 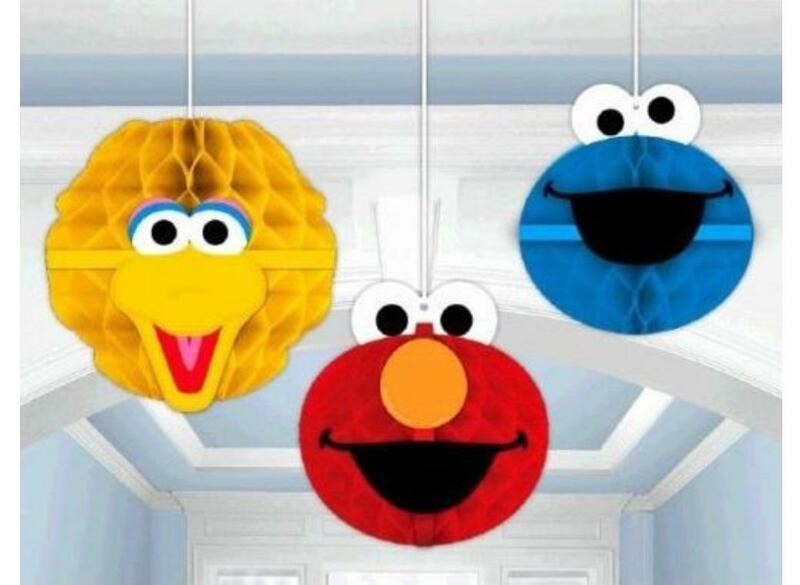 Sure to be a hit around the party table! 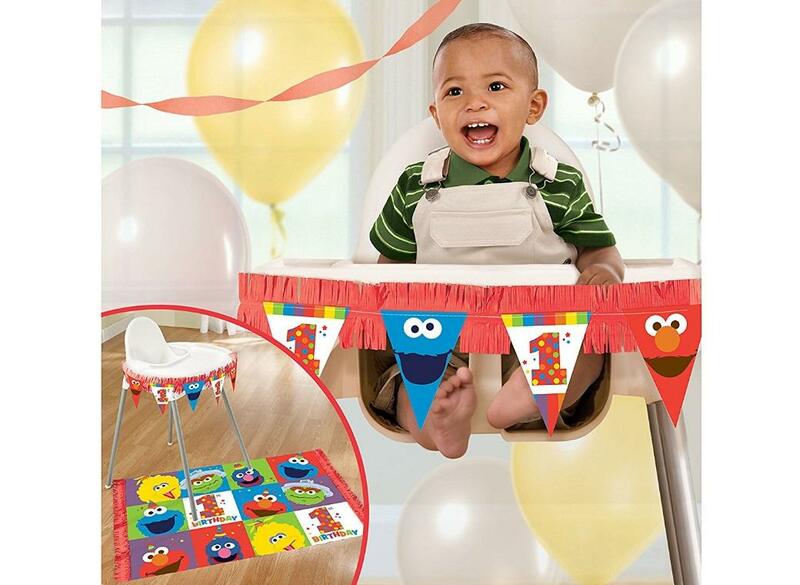 Add a splash of colour and fun to the party table. 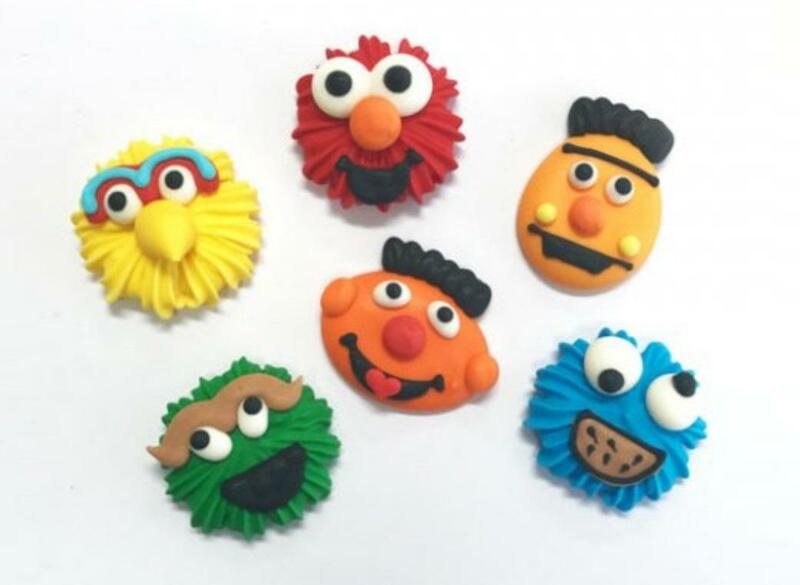 Create a professional looking cake in seconds. 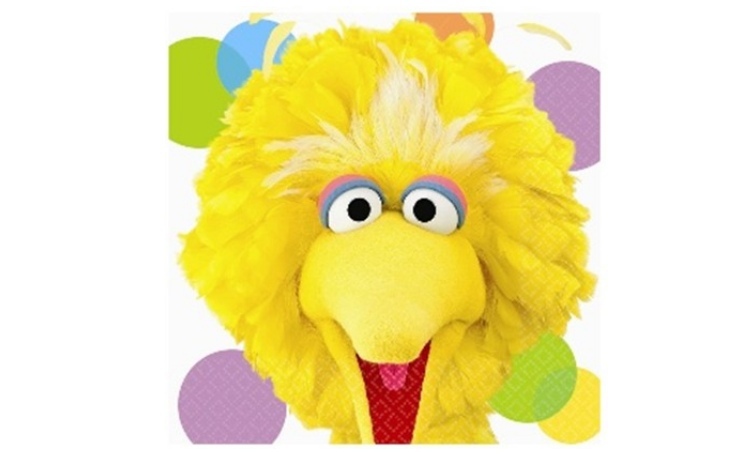 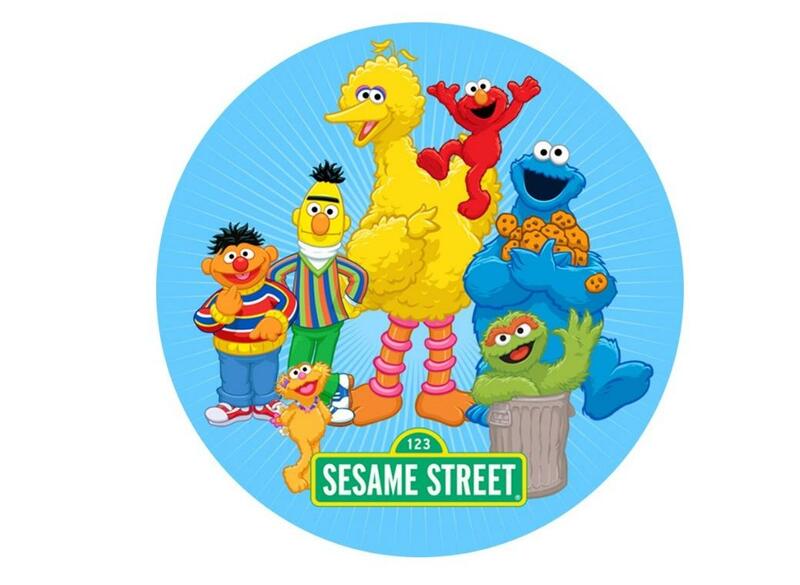 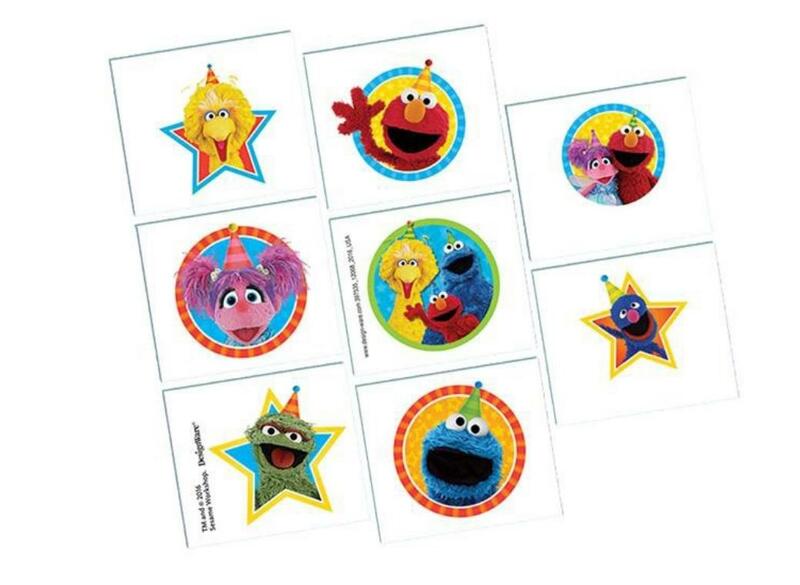 A fantastic party prize or keepsake gift for all the guests at your Sesame Street party. 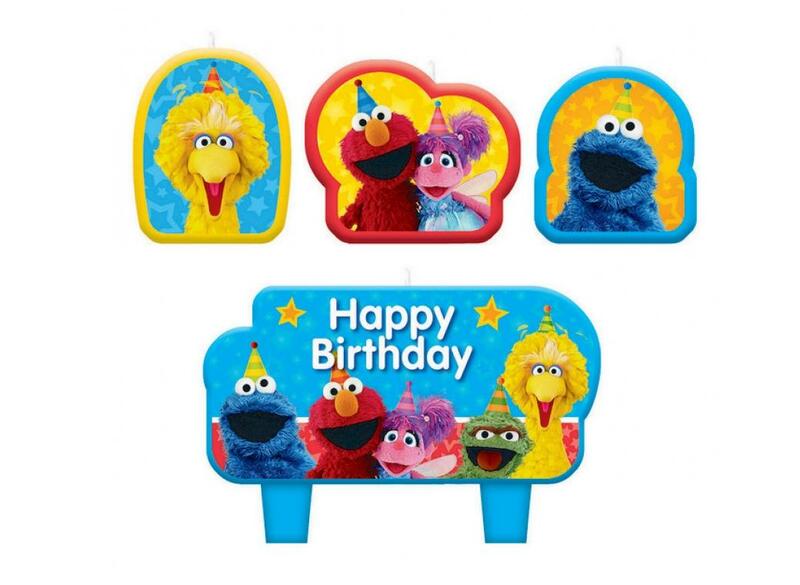 Brighten up your Sesame Street birthday cake! 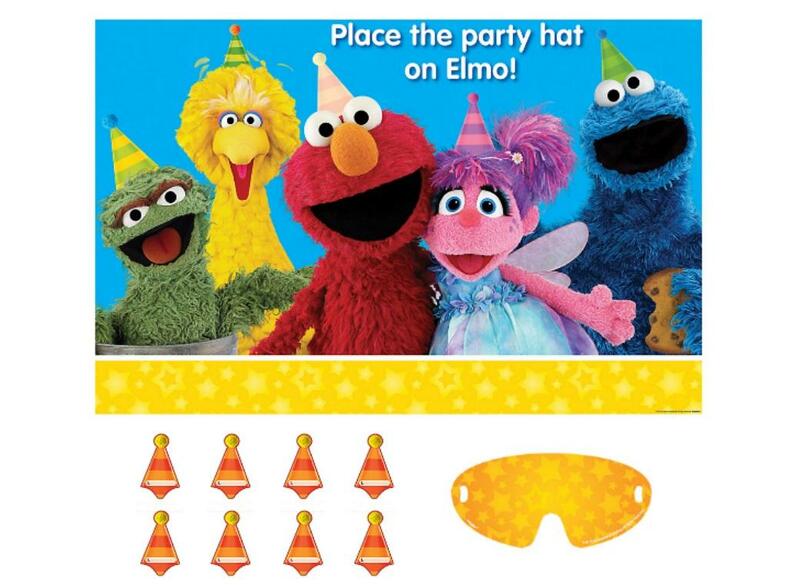 Great fun for a Sesame Street Party. 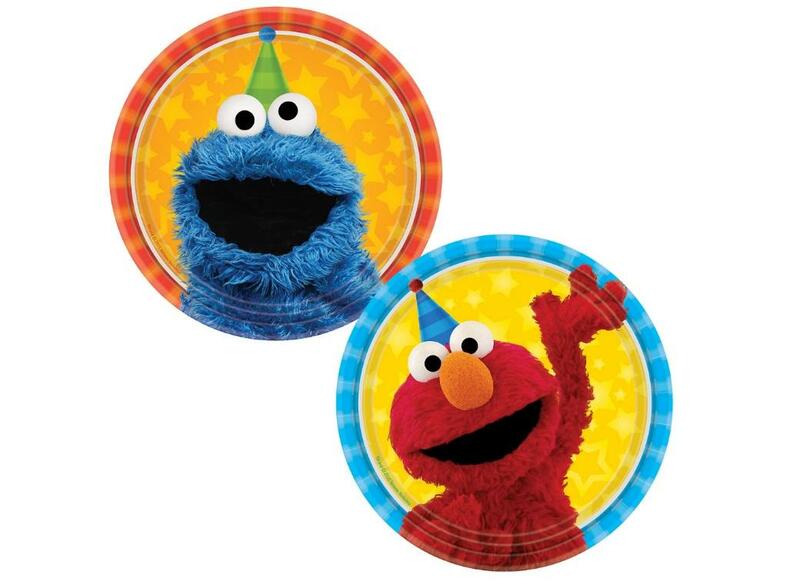 Decorate your Sesame Street party!